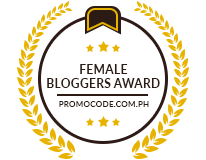 I got these two on my hands last June 28, 2012 and already tried using it for a couple of times. 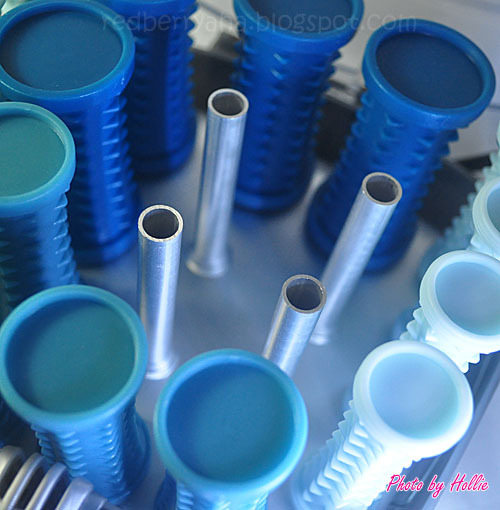 They are awesome for personal use! 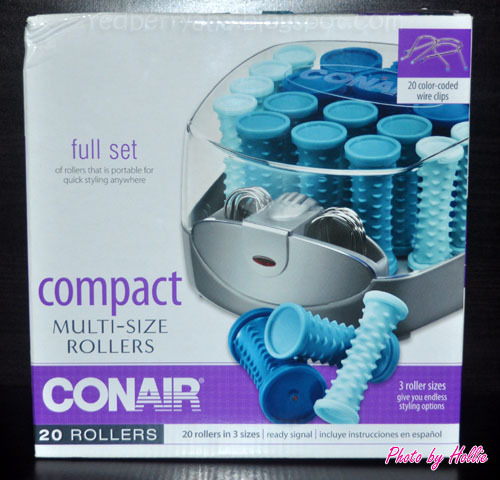 If you don't know what hot rollers are, these are rollers used for setting hair that gives off soft curls. 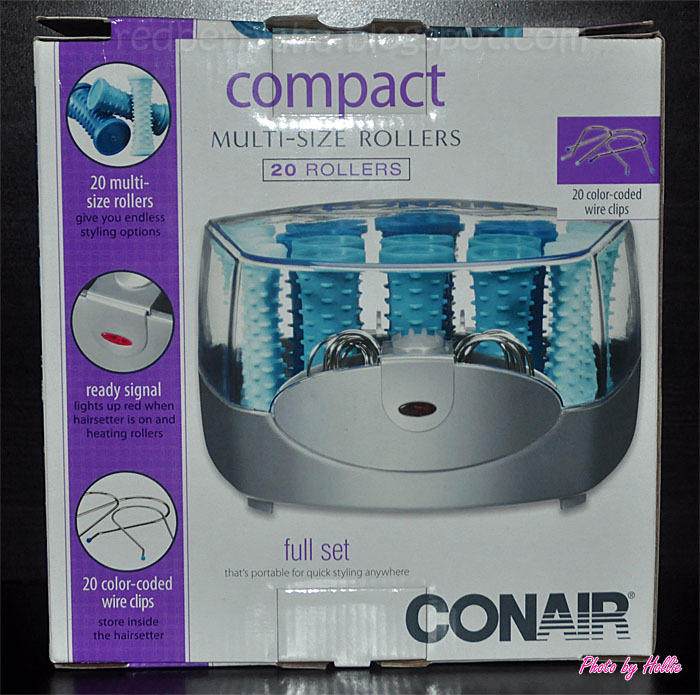 These are just heated rollers. 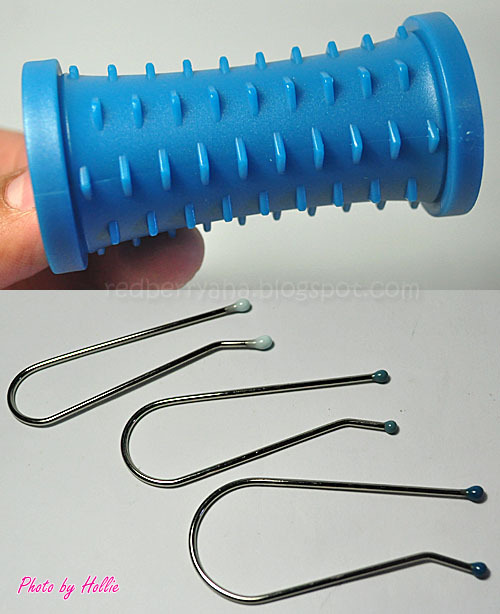 If you know how to use hair rollers or hair curlers, using this will be easy. 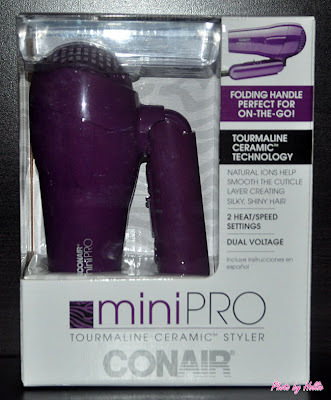 You have no idea how hard it is to find hot rollers/ hair setters here locally. I tried scouring through malls even online shops but they are nowhere to be found. I did find one online but the price was just crazy high. 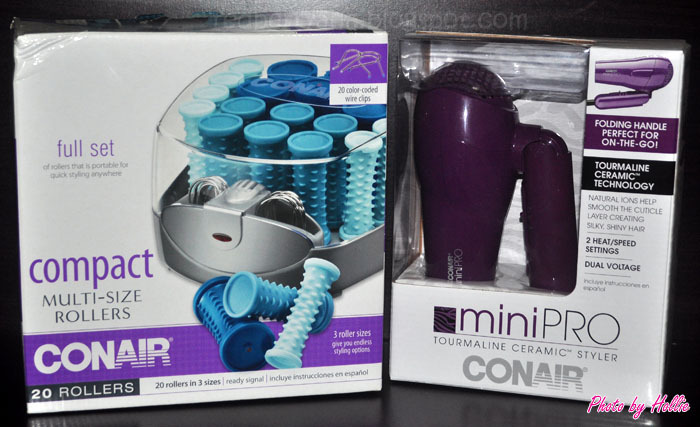 You can buy this Conair HS34R Compact Hairsetter in the US or you can always try Amazon.com. 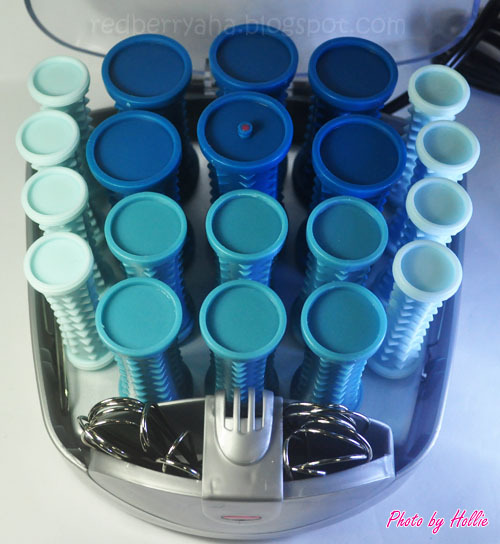 There are a lot of tutorials available on Youtube about how to use Hot Rollers, just in case you'd like to know who to use them and what kind of curls they give. 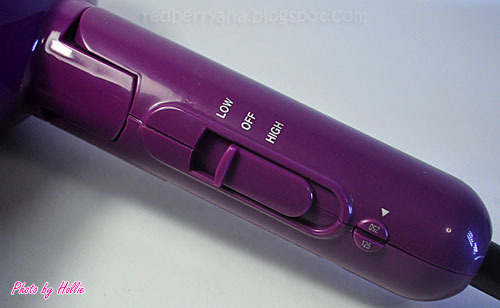 I chose this hair dryer because it's foldable and it's purple. LOL! 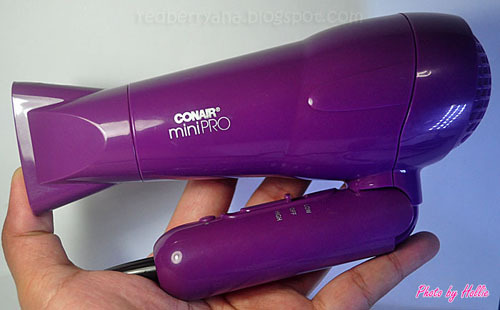 I don't want to carry a heavy hair dryer during my makeup gigs. So I had to find one that is lightweight and works well. I couldn't find one locally that's affordable enough. You can buy this Conair miniPro Tourmaline Ceramic Styler folding hair dryer in the US or simply buy this at Amazon.com. I bought Vidal Sassoon blowdryer too, locally. I preferred to buy locally for the warranty. @Chrissy, oh really? May I know where you found the conair hot rollers? I think I've seen the Revlon ones, but they were priced at 3K. i love hot rollers :) that's how i've been curling my hair for the last 15 years of my life hahaha..
but yes you are right.. in the US they sell hot rollers EVERYWHERE! drugstores, shopping malls even grocery stores! that looks great, I've always wanted a set like that! The hair dryer looks so convenient! 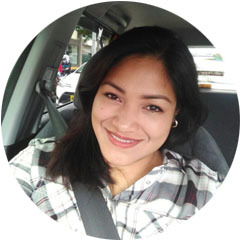 Would be great for travel!